Fritz C. Thürmer was born in 1864 in Larvik in Norway and was an educated toolmaker. He invented and patented the square cutting die in 1897, which revolutionized the production of the external thread. Based on the patent he established his own factory Thürmer & Co in 1898, and quickly became successful within the production of thread cutting tools. The success contributed to him being invited to the world exhibition in Paris in year 1900. Thürmer & Co registered a number of European patents, amongst others a patent on ToTan saw blades and on twist drills. Within the next 2 decades Fritz. C. Thürmer startet three factories in Denmark and established partnerships with several European production companies. When Fritz C. Thürmer’s business reached the height of it’s success within the industry, it had over 1.500 employees and was one of the most significant producers of thread cutting tools in Europe. Fritz C. Thürmer had 6 children and lived at Pile Alle No. 27, Frederiksberg in Copenhagen. No. 27 was the family’s lucky number and it appeared on everything they owned - such as cars, phone numbers, planes etc. Even their summerhouse in Gilleleje was named “Villa 27”. Two of the children, Bjørn and Eric Thürmer joined the family business in the beginning of the 1930’ies. Eric Thürmer became part owner in 1933 and was afterwards elected Managing Director of the company. Bjørn Thürmer became Managing Director of Greenfield Tap & Die in Connecticut, USA, another thread cutting factory also partly owned by Thürmer & Co.
At this point the company produced and supplied a wide range of products within tools – including hammers, bolt and nuts, anvils, oils and many more. Most of it produced in Denmark. 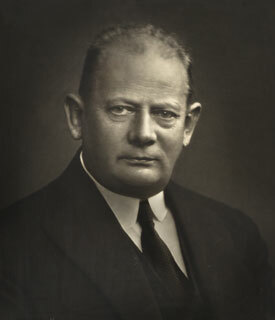 The founder Fritz C. Thürmer died in 1942, and Bjørn Thürmer came home from the States and became Technical Director on the factories in Sandved, and on Roskildevej and Skt. Knudsvej in Copenhagen. Eric and Bjørn Thürmer succeeded with the family business and continue to be marked leader within thread cutting tools. Especially Eric was a respected man within the industry in Denmark and held the position as chairman of several professional interest groups. 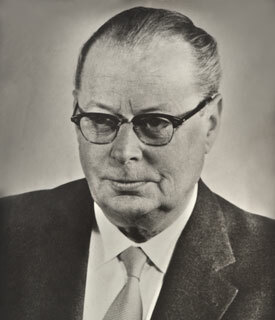 Bjørn Thürmer died in the middle of the 1950’ies leaving no descendant heirs and Eric Thürmer died shortly after in 1960. Eric Thürmers relatives went on to inherit the factories. A few years later two of the heirs sold 60% of their stock to a local bank, which saw the bank appoint Professor Chr. Gudnarson from the Technical University as chairman and Børge Kilmer as Managing Director of Thürmer & Co. In the beginning of the 1970’ies Eric Thürmer’s son, Bjørn Thürmer, decided to follow in the footsteps of his father making him the 3rd generation to enter the thread cutting business. He was 25 years old at the time and owned 20% of the shares. With an exam from London Business School and a couple of years of professional experience in the Swedish steel industry he was ready to play an active role in the family business. 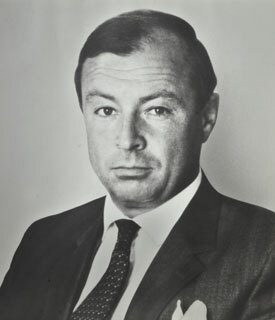 From 1973 till 1977 he succeeded in buying the rest of the shares of Thürmer & Co. During this periode Bjørn Thürmer made a turnaround in the old family business. He devided the production, modernized the factories with new machines and reintroduced the old ‘Thürmer-spirit’ into the 200 men strong organization. He also bought other businesses, for example what became TKW(Thürmer kæde og wire), using the same business approach and with great success. In 1985 the whole Thürmer Group was bought by Kaj Melchior. For the first time in history no member of the Thürmer family were registered shareholders in Thürmer & Co. But not for long. Shortly after Bjørn Thürmer bought back the entire tread cutting tool production part of the business. Kaj Melchior was more interested in the location of the buildings than the actual business. He gave Bjørn Thürmer 3 months to move the whole thread cutting production to a new location. In those months Bjørn Thürmer constructet an industrial building on Hammerholmen 18 in Hvidovre and moved the company. In 1991 Bjørn Thürmer accepted an offer from Apotekernes Pensionskasse and the family business was sold again. The new owners reorganized the company and started to move some of the production to China. At this time the business had about100 employees on location in Hvidovre. In 2003, 12 years later Apotekernes Pensionskasse decided to sell the company. Again Bjørn Thürmer bought the company back– this time together with his son Erick Thürmer, who was now 4th generation in the family business. In the following years father and son bought the rival industry competitor Clou (also known as H.F. Jensen) and moved the rest of the standard production to China, only leaving the specialized thread cutting production in Hvidovre. In 2015 Erick Thürmer relaunched the Danish production of thread cutting tools in Hvidovre, Copenhagen. Thürmer Tools can again produce hand and machine taps in odd sizes - from 4 mm to 160 mm - within 48 hours. Thürmer Tools has worked with 3D Print in metal for several years. In 2017 Thürmer Tools was granted EUR 1.6 mio through the Eurostar program - an international R&I programme for SME's. The grant was given by the Danish Innovationfond, EU and the Norwegian innovationfond. Together with two Norwegian Partners, the research institute Sintef and the machineproducer Tronrud, Thürmer Tools is working on developing the next generation of machine taps with optimal internal cooling.